Get Involved: Volunteer Your Time! Please note that not all position are open at all times. See position descriptions below for more details. If you are interested in volunteering with us, you must apply by filling out a Volunteer Profile. You can download one via the link on the right. You will receive a confirmation email soon after clicking the Subscribe button. Thank you for you interest in Community Table! You can help. Give the gift of your time. We offer extended Client Shopping Hours on Thursdays and need volunteers to assist with Client Check-in for two to three-hour shifts, starting at 10:00 am. 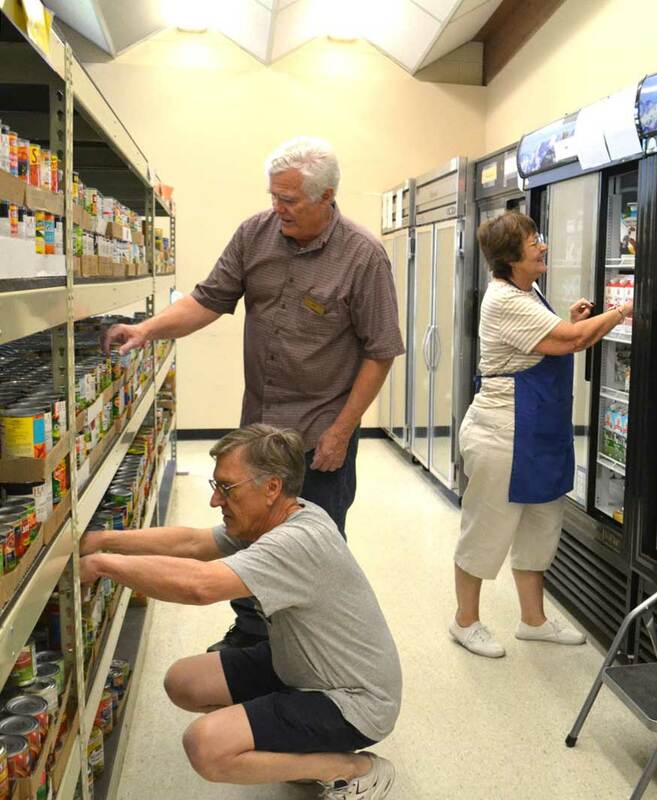 Must enjoy interacting with the public, as you are the first contact with visitors to our food pantry. For more information regarding the position, please contact Gretchen Parker, at 720-437-6388, or gparker@cotable.org. We would love you have you!! The Bridges to Opportunity program is looking for volunteer GED tutors. Would you like to share your time and talents to help individuals right here in our Community? Do you have a background as a teacher or educator and you’d like to use your skills to help families looking for a step ahead? Our GED preparation program includes all study materials, pre and post-tests and quality volunteer instructors to prepare students for the national GED exam. Our GED classes are held 2 evenings a week, on Wednesdays and Thursdays and are broken down by both Pre-GED and GED levels, in order to meet clients where they are. We are currently looking for Thursday evening instructors. We need to increase our resource of regular and backup, on-call drivers for pickups and deliveries. If you own a pickup truck or van, give us a call. We also have several trucks available for your use if you have a clean driving record. Most routes are regularly scheduled weekday mornings. If you are interested, we will arrange for you to ride with our regular drivers and learn their route. Some needs may also include occasional pickups of food drives from businesses and schools. We are in need of client service volunteers who are fluent in Russian or Spanish. These opportunities are during our client service hours, Monday, Tuesday, and Friday – noon to 3:45 pm; Wednesday – noon to 5:45 pm; and Thursday 9:00 am to 3:45 pm. Purpose: Sorting food is a very important process at Community Table. This is our primary quality control check. Your attention to detail and a good sense of organization allows Community Table to function efficiently and with a high degree of certainty that our clients are getting the food they need. Time Commitment: One shift each week (M, T, W, Th or F) (9-12 am and 12-4 pm) ongoing. Support: Training for this position will be provided. In addition, the Director of Food Programs will be available for questions and assistance. Opportunity to cross-train for work in other areas of Community Table will be made available. Dress Code: Casual work attire. Hard toe shoes. Purpose: “Shoppers” at Community Table are Community Table’s public face to our clients. The care with which our shoppers deliver services reflects greatly on how we are perceived. We desire a quality experience for our clients. Key Responsibilities: Helping the client choose their food in an efficient manner using the shopping list for their household size. Keeping track of the client’s points. Packing items selected as the client progresses through the shopping area. Time Commitment: One shift each week (M, T, W, Th or F) 12-4 pm, ongoing. 2 hour shifts may be arranged in special cases. Support: Training for this position will be provided. In addition, the Director of Food Programs will be available for questions and assistance. Opportunity to cross-train for work in other areas of at Community Table will be made available. Community Table endeavors to help students fulfill Community Service hours, as well as Court Ordered service hours. Community Service hours are limited to those between the ages of 16 and 18 /senior in high school. 13 year olds must be accompanied by a parent or guardian. We currently have LIMITED available hours for Community Service. 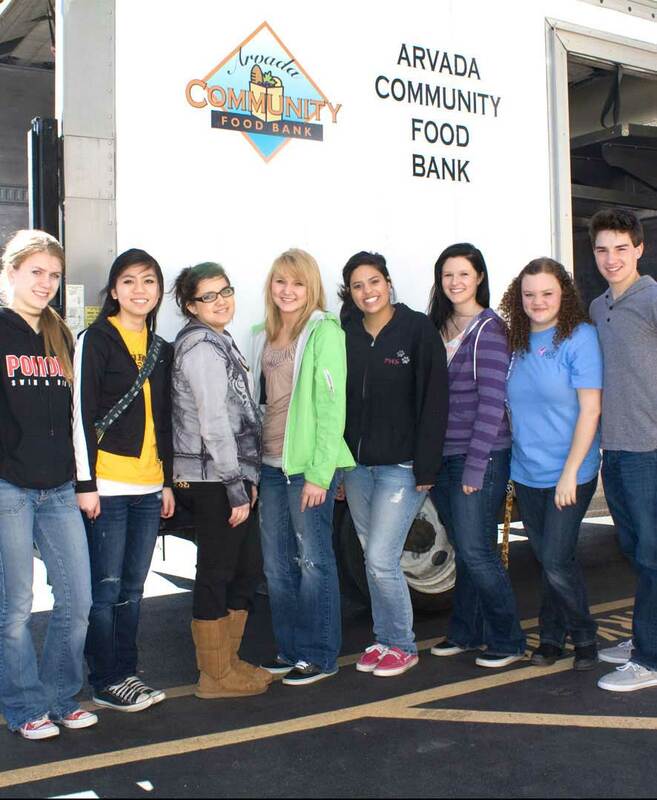 Community Service volunteer opportunities are limited to youth ages 13-18. Youth ages 13 and under must be accompanied by a parent or guardian. Because of the nature of our operation, we are unable to accept those who have been sentenced to theft, violent crimes, substance abuse or possession, and crimes involving inappropriate sexual activity. There are NO exceptions to this policy. Community Service shifts are weekdays from 9:00 a.m. until 4:30 p.m. Length of shifts are at the discretion of the Volunteer Coordinator and/or the Operations Manager. There will usually be only one slot available each day on a first come, first served basis. During the summer or school holidays, availability of service hours may be greater and more flexible. Because of the nature of our ongoing regular volunteer shifts, the number of opportunities are always limited. If shifts are available, you may not be able to accumulate more than 1 to 4 hours per week. Exception to age and available days may vary as needed seasonally or for special events. Community Table reserves the right to deny or terminate Community Service to participants at any time.